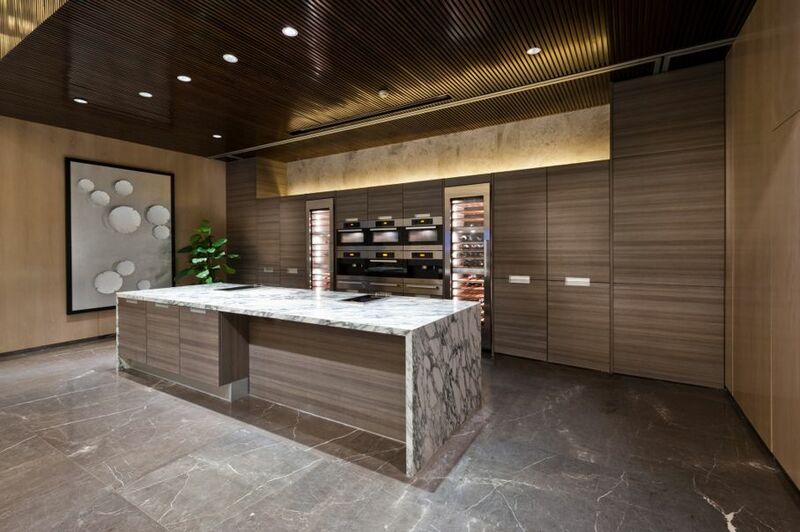 Leave marble polishing to the pros. Marble is a gorgeous, natural material that has been used for millennia in sculptures and architecture. Today, it’s a natural choice for floors, countertops, sinks, and more in our homes. It’s no mystery why marble has endured. Marble instantly adds a high-class luxurious look to any living space and can increase the value of your home. The one downside to marble is that it can appear less than fabulous when it gets dirty or dull. If your marble floors or countertops are losing their shine, then it’s time to consider marble polishing. Polishing marble isn’t a task that most people can easily handle themselves. It’s not like waxing your car – simply applying wax and then removing it with a clean cloth. 1. First, give the floor or area a good general cleaning. 2. Then, apply a marble stripper to remove deeper level dirt, grit, waxes, and sealers. 3. 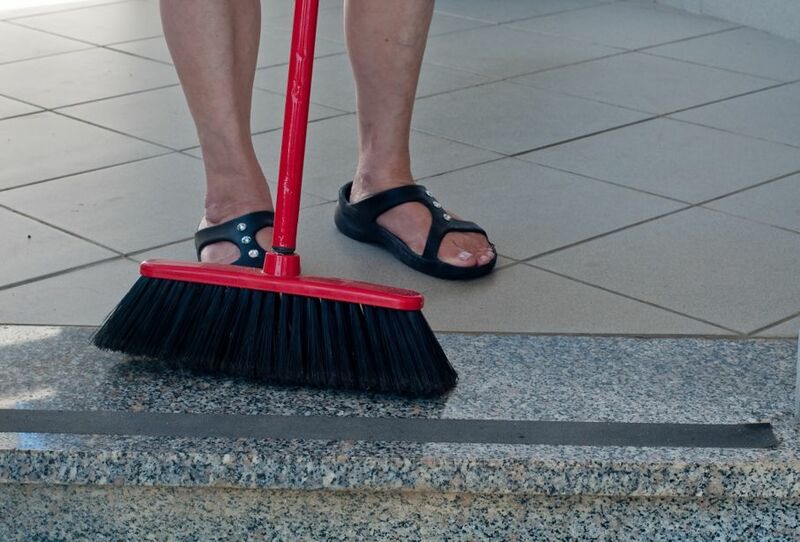 If the area you’re polishing has grout work, you should take extra care to clean that area by hand with a scraper or stiff brush. 4. Now you’re ready to apply the marble polish with a hand-held machine or a large floor buffer, depending on the size of the area being polished. 5. Finally, you’ll want to use a small steel wool pad to buff any areas that remain dull. Does that sound like a lot of work? It is. Plus, the average consumer won’t have the knowledge to select a quality product, much less use it correctly. Some of these products may help your marble look great again for a few months, but then it will go right back to being dull. Some cleaners can actually eat away at the marble and do damage over time. If that happens, then you’ll be shelling out a lot of money for a deep restoration. Your best bet is to find a reputable marble polisher that has the expertise and equipment to bring your marble back to its original luster. A marble polisher will first carefully inspect the floor to identify any chips or cracks that might turn into bigger problems down the line. Once those are repaired, they will give the floor a deep polishing. Finally, they will seal it to prevent new cracks and chips from starting. Older or badly damaged floors may need additional coats of sealer six months later. Once the professional polishing is done, you can easily take care of daily maintenance yourself. 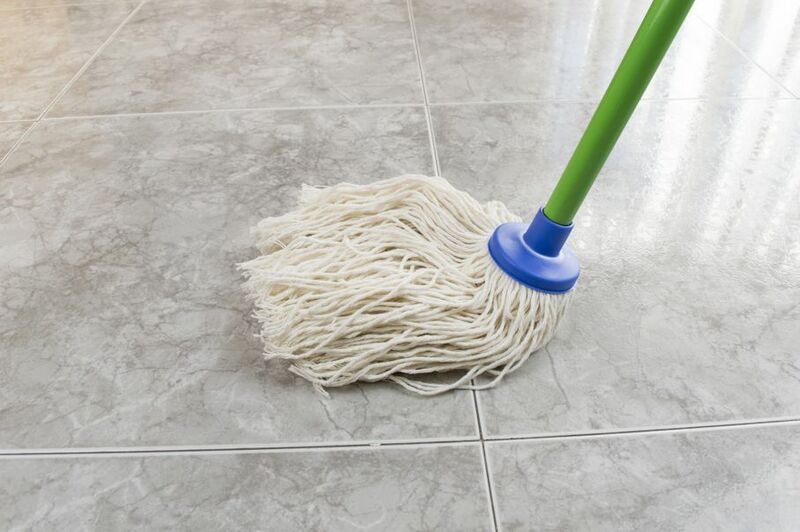 Mop frequently with warm plain water using a cotton string mop to keep the floor or surface clean of dirt, water build, up and ice salts. And be sure to clean spills, especially grease and oil, as quickly as possible so they don’t seep into the marble and leave a permanent stain. Marble, if given sensible and routine maintenance, will remain sturdy and beautiful for years. If your floor is in good condition, then you’ll only need to make sure your floor is professionally polished every five to seven years. 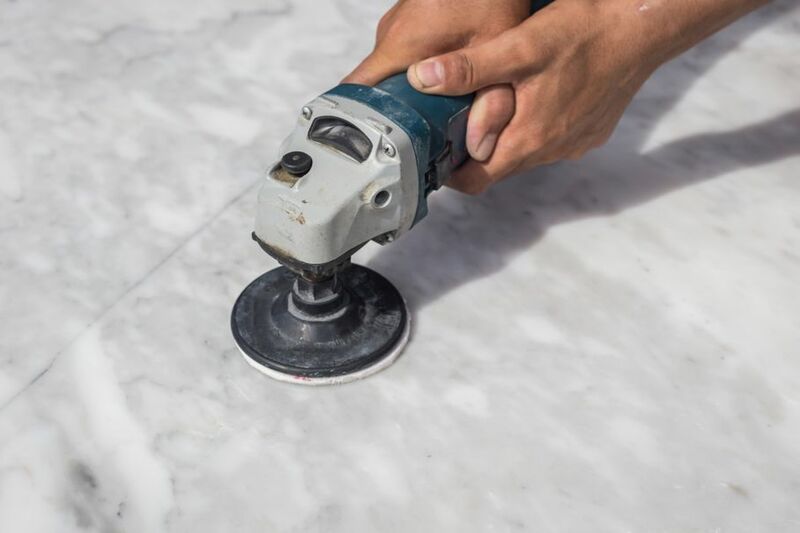 Contact your local marble polishing contractor today and they will help you with all your marble polishing and maintenance issues. Choosing to work with a professional will save you time, headaches, and a lot of money in the long run. And most importantly, the marble in your home will always look its best.